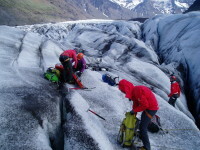 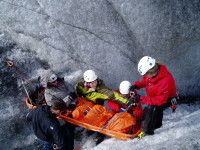 Again this year , Mountain Guide Gary Dickson travelled to Iceland in June and worked with Icelandic Mountain Guides and this year some other glacier guides from Iceland with their training and certification requirements for the Icelandic glacier guiding industry. 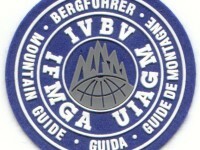 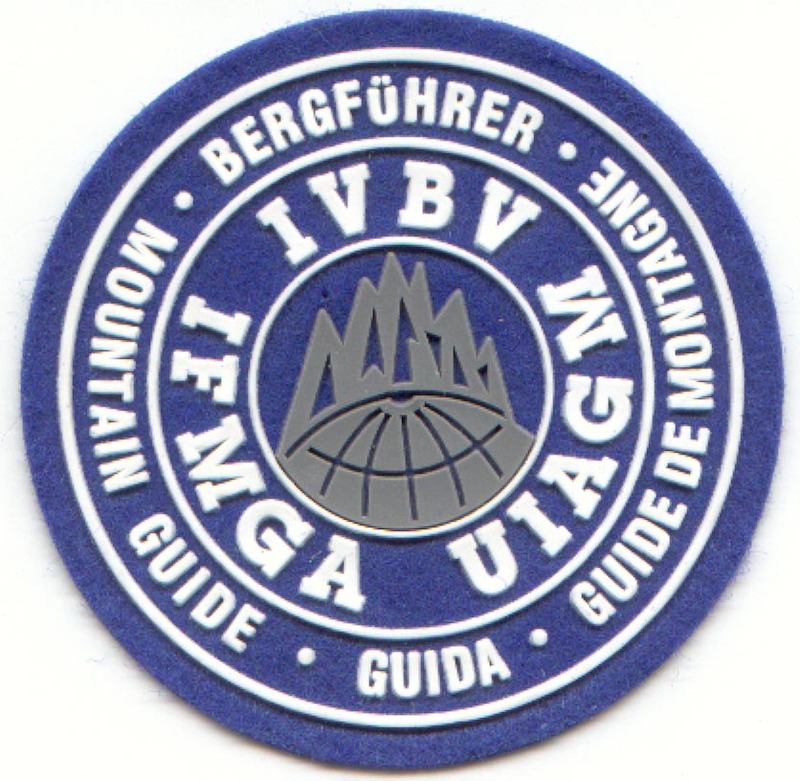 Comming up in June, IFMGA Mountain Guide Gary will be heading for two weeks to Iceland to continue his work with Icelandic Mountain Guides with their glacier and alpine trekking guide program. 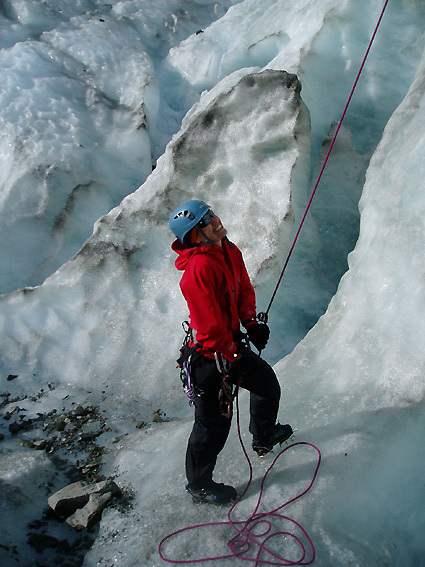 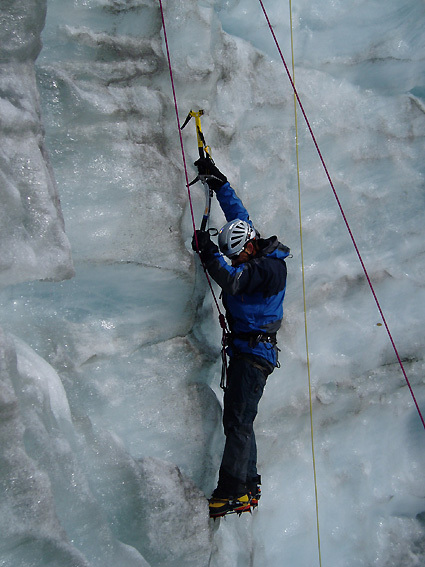 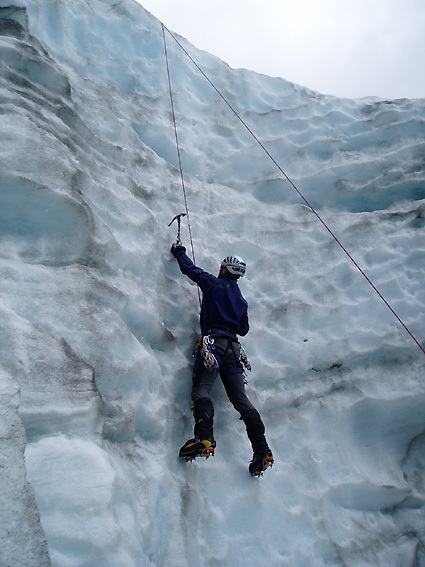 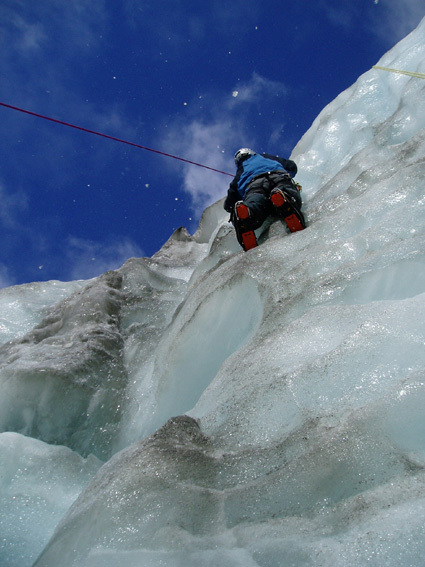 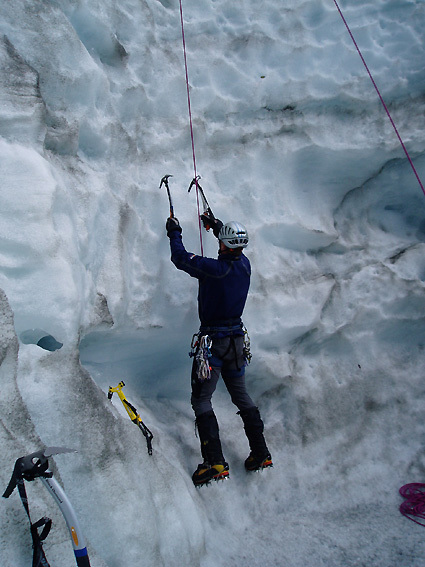 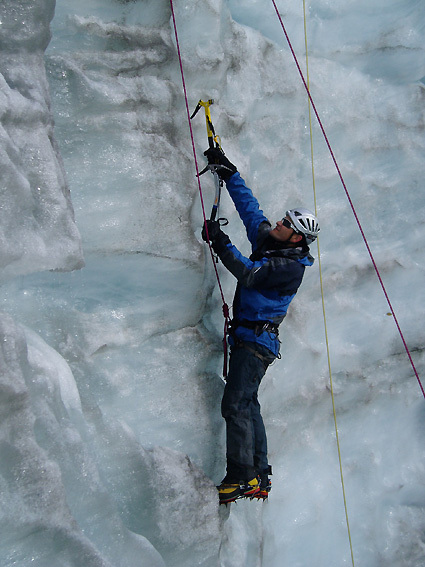 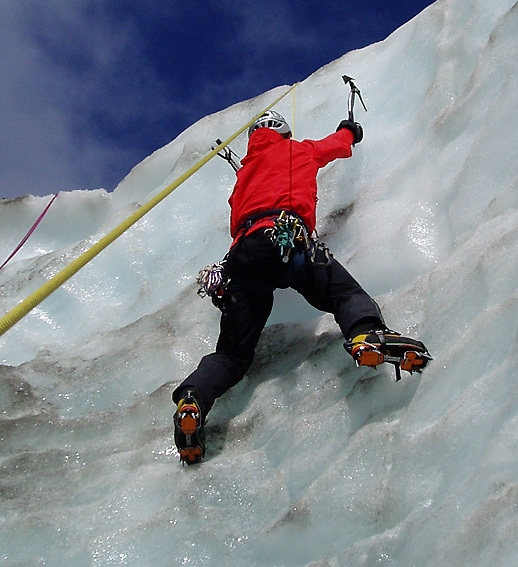 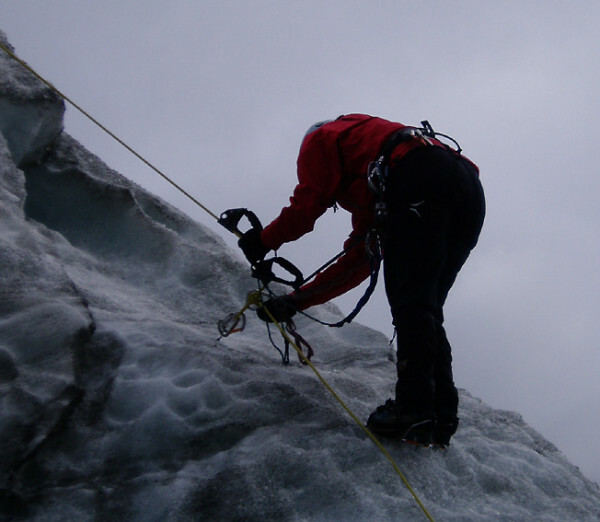 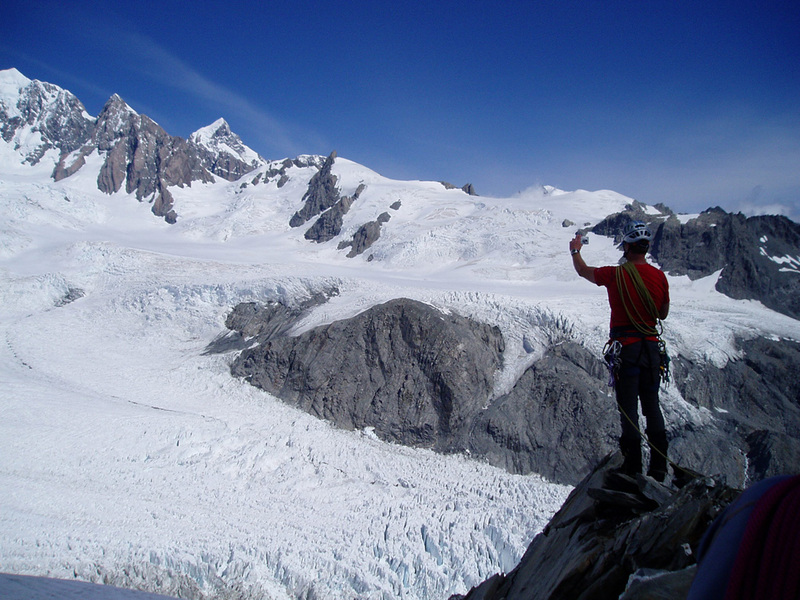 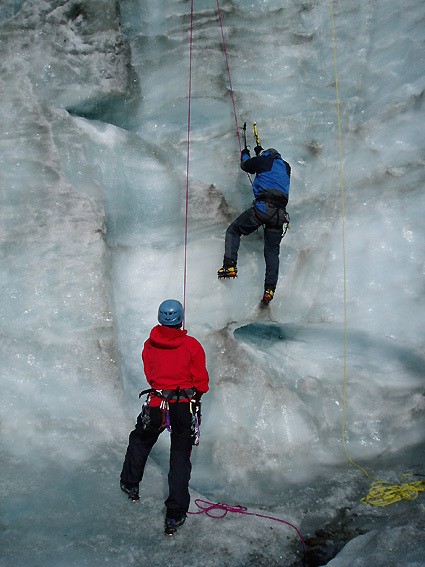 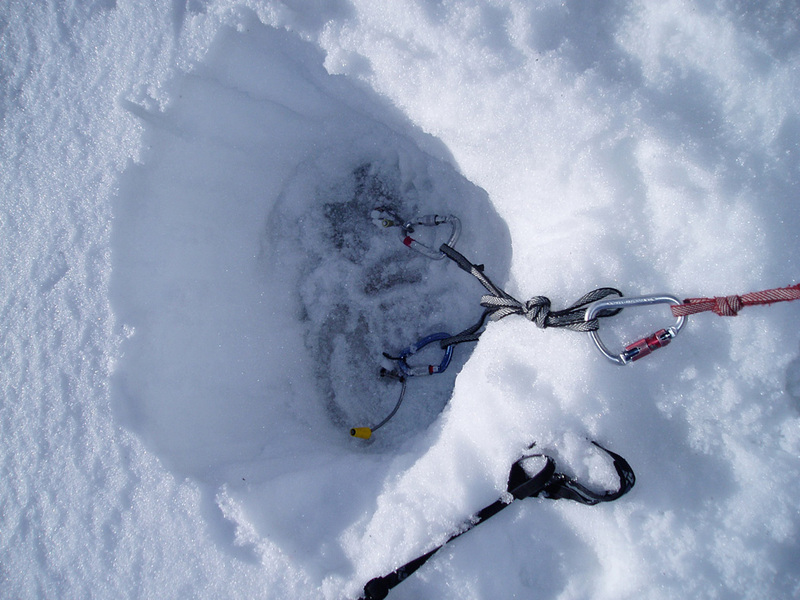 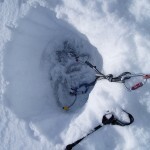 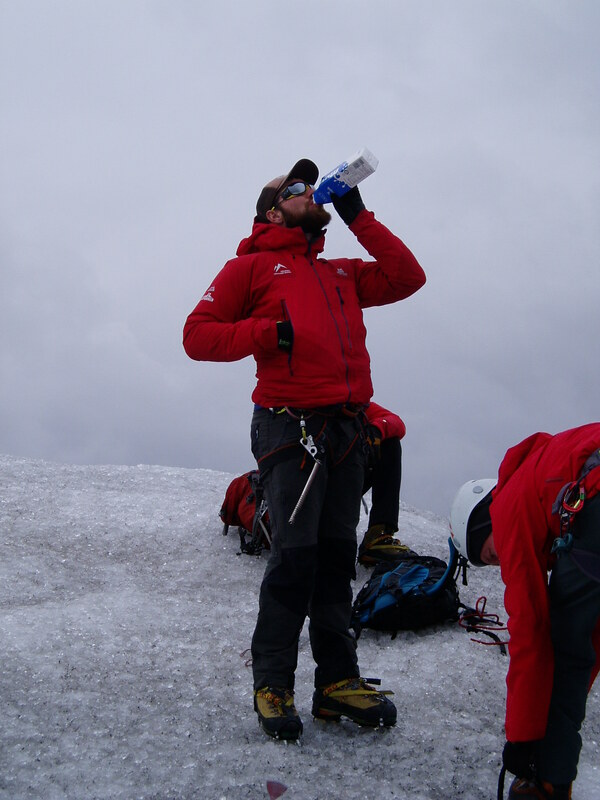 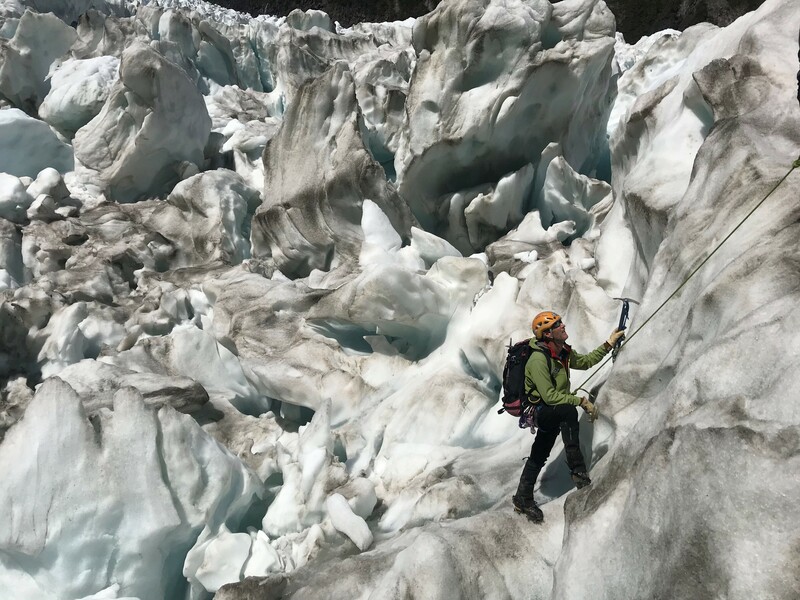 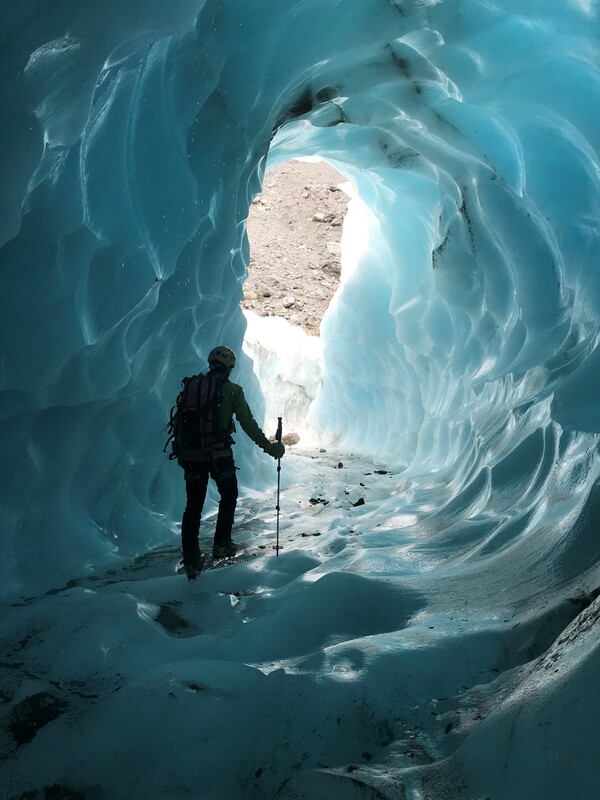 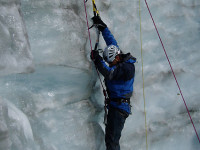 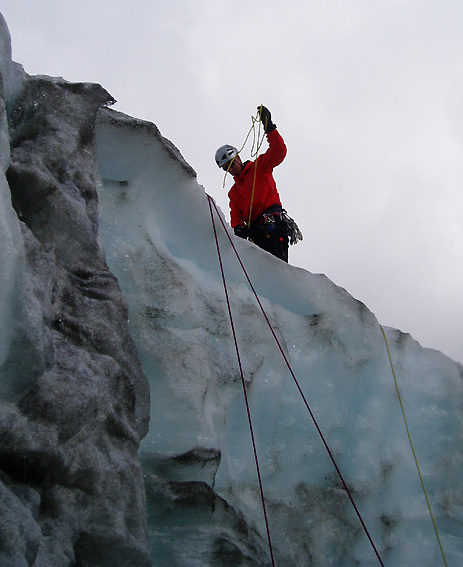 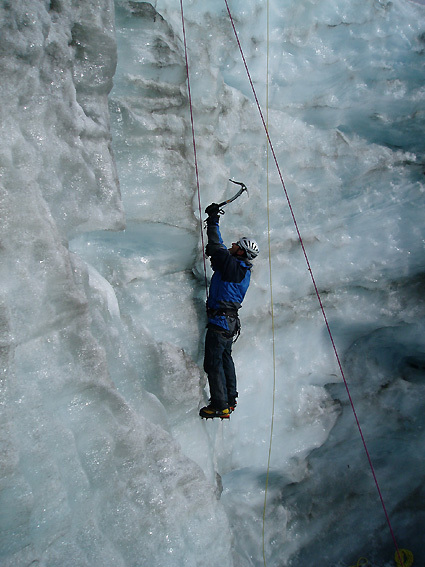 This is specialized training and assessment that gary enjoys being involved in so a high quality and safe mountain product can be offered and delivered to clients in a special and spectacular setting 66 degrees North. 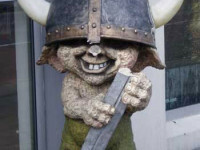 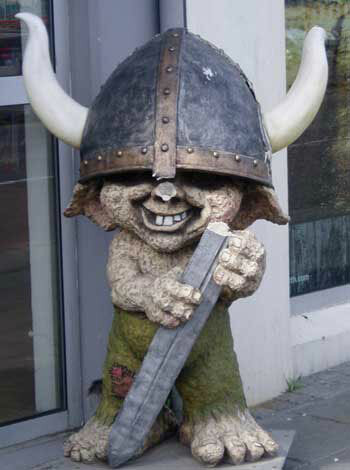 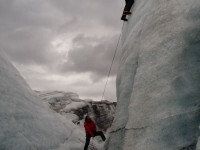 Iceland – very different part of the planet that! 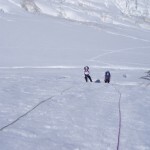 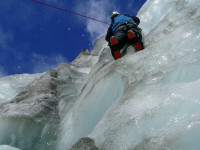 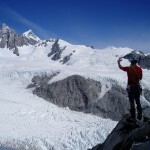 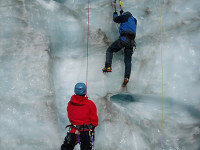 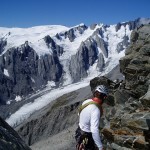 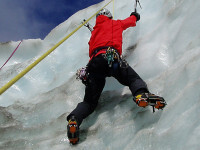 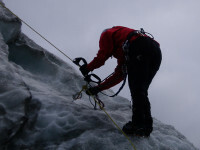 The Alpinism & Ski office has been moved from New Zealand to the Swiss Alps for the annual European climbing adventures. 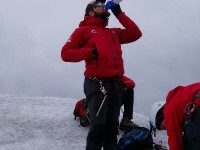 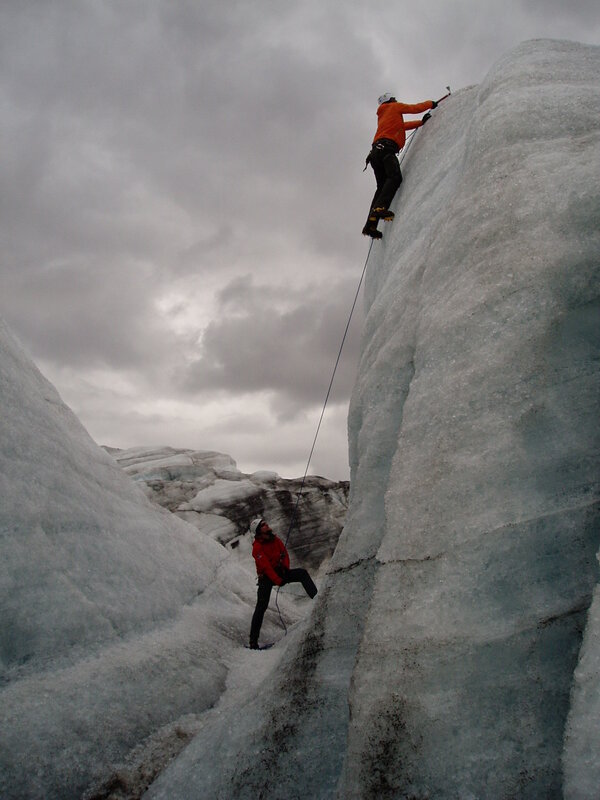 Mountain guide Gaz is presently in Iceland, delivering more specialized mountaineering instruction to the Icelandic mountain guides. 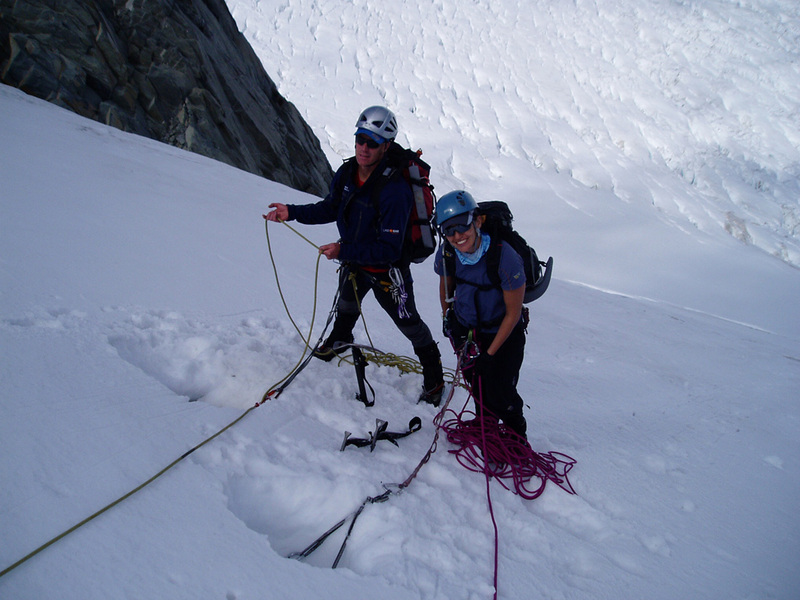 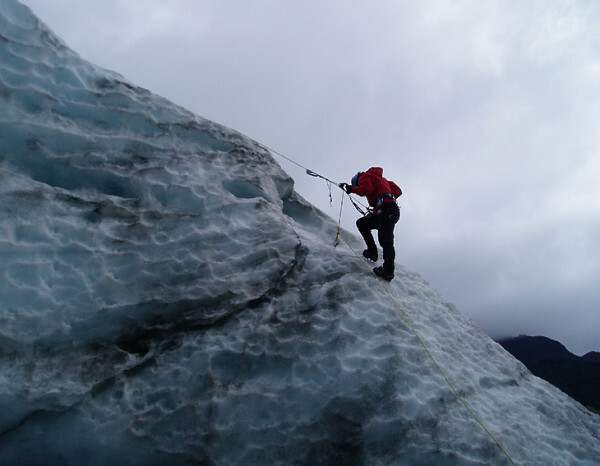 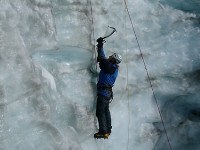 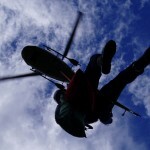 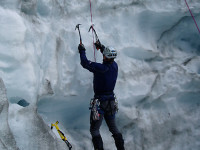 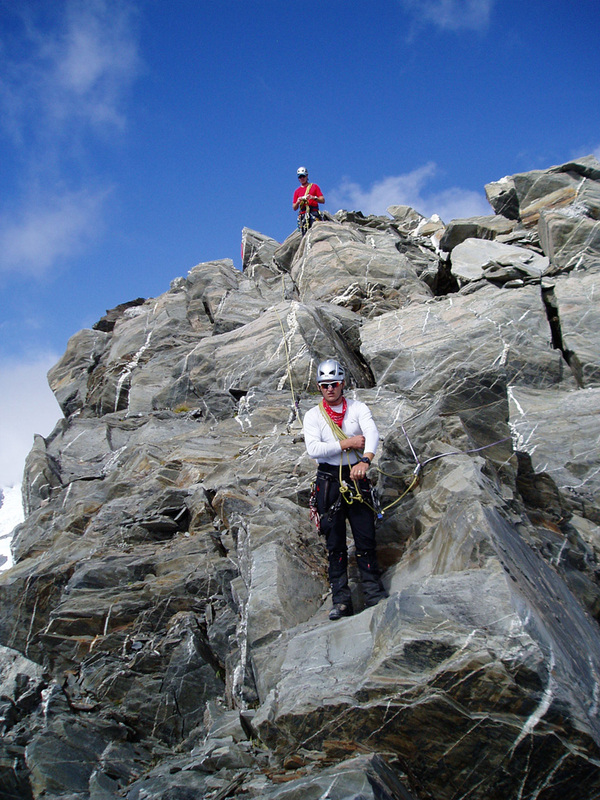 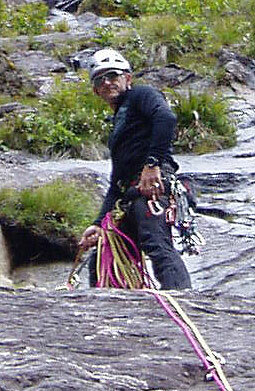 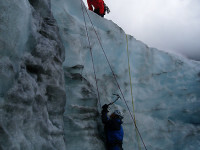 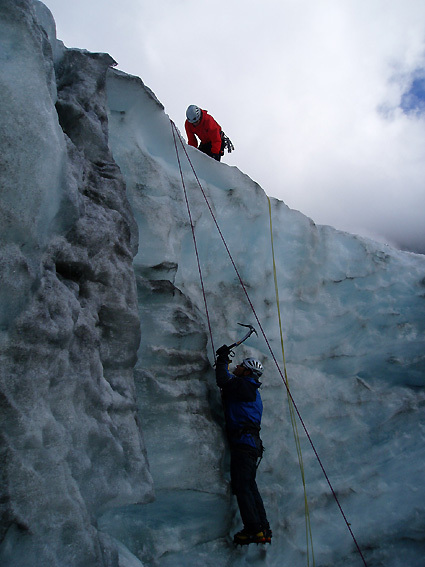 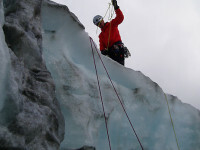 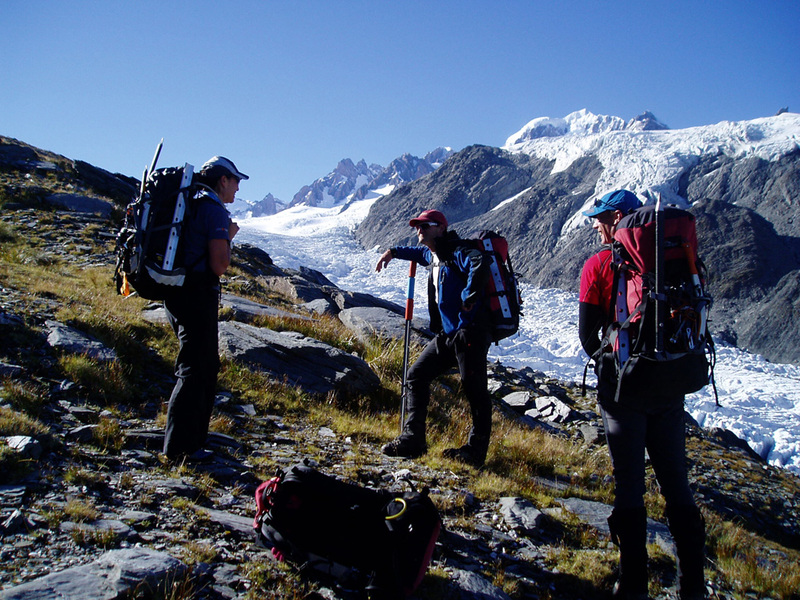 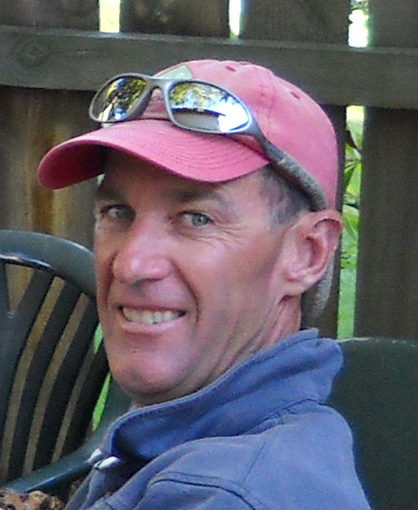 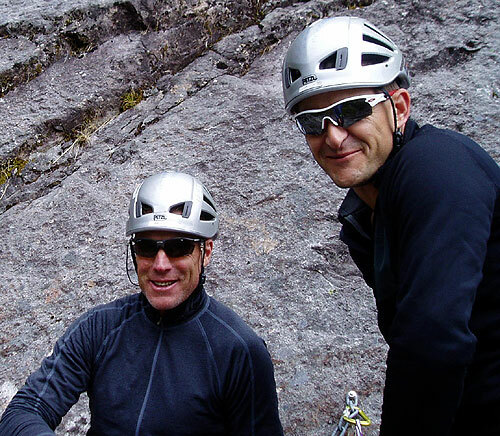 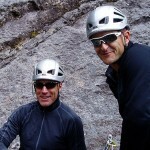 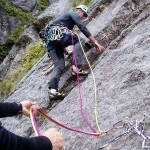 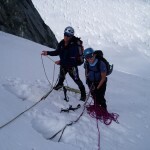 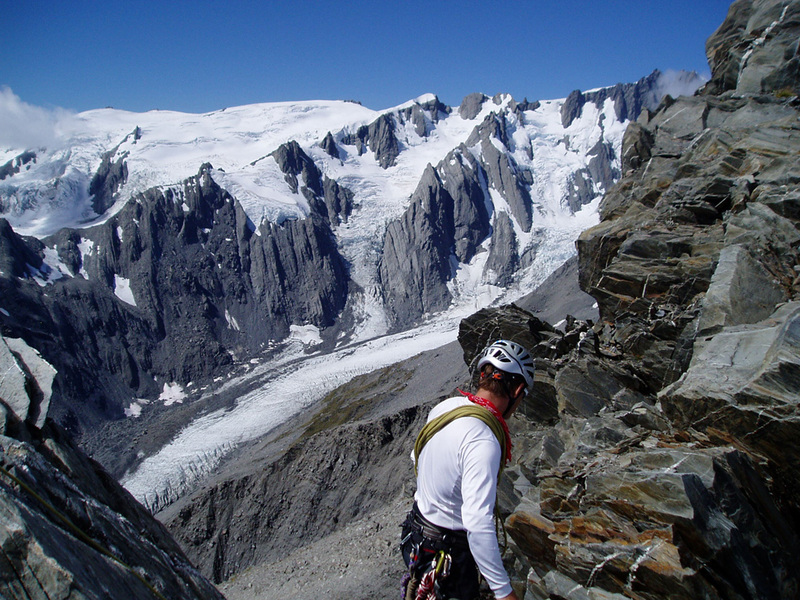 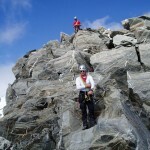 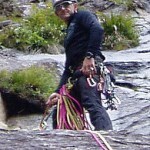 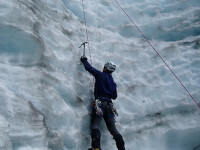 Late March and Gary spent three days away with Wanaka Police SAR squad members MJ and Az, doing alpine rock training. 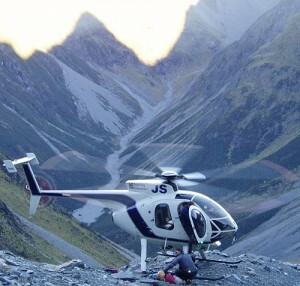 Location: Head of the South Temple valley. 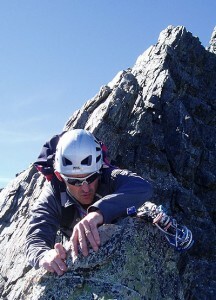 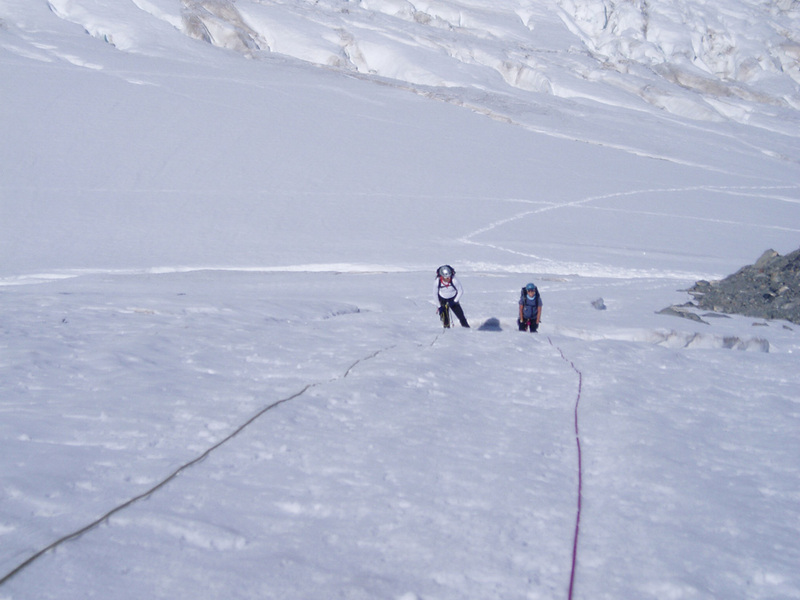 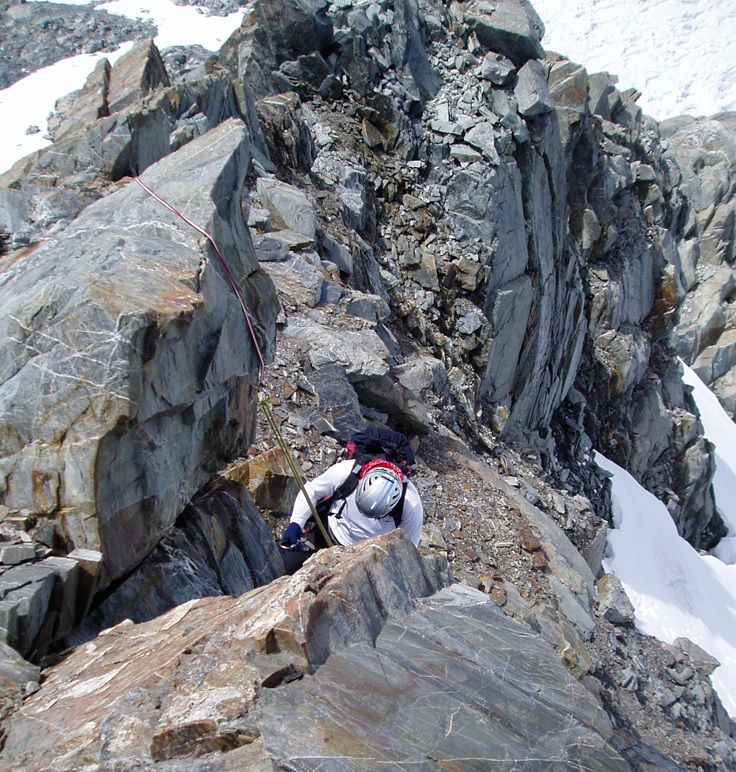 First objective was a 10 pitch climb on the Weta Prowl Buttress of Mt Steeple. 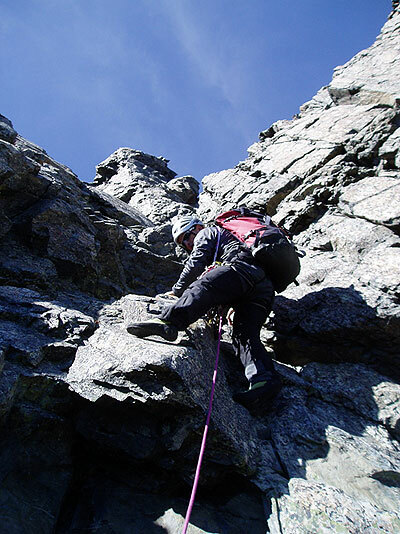 Multi-pitch climbing to max approx grade 13; reasonably sound rock but requiring good route finding and rope work amongst some loose stuff. 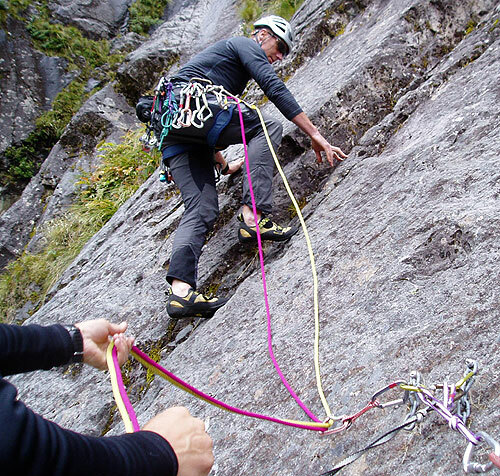 After success on this, another route on one of the many buttresses was completed. 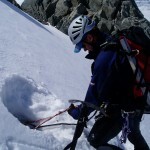 This was excellent route finding and terrain assessment for the lads with no existing topo. 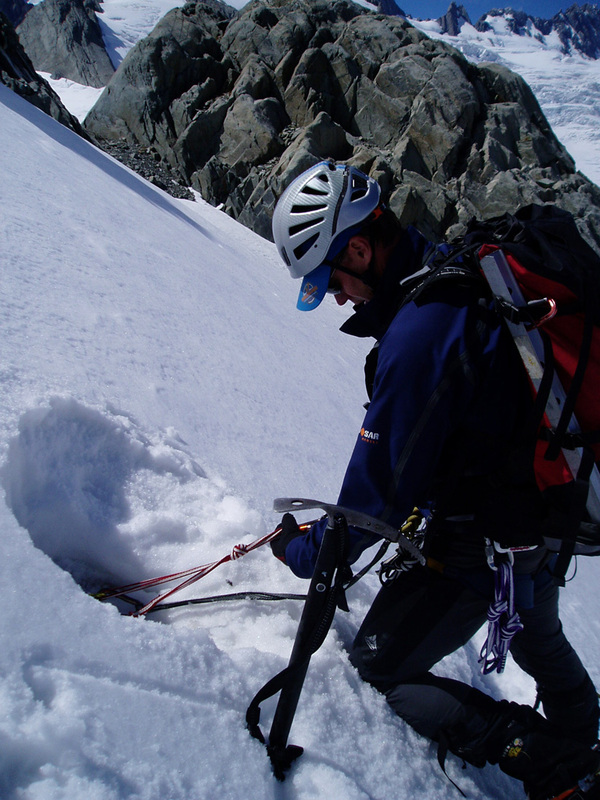 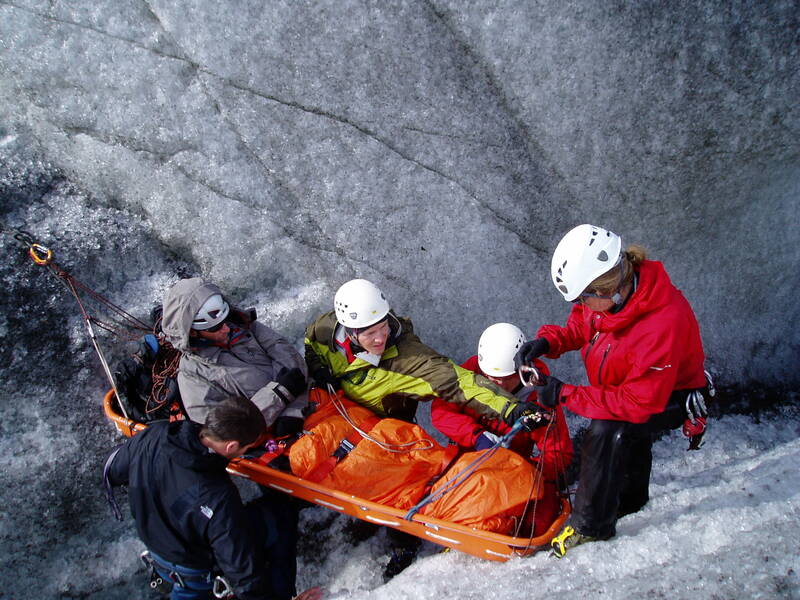 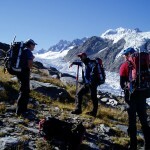 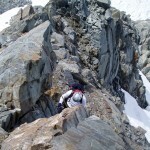 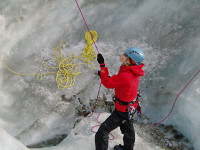 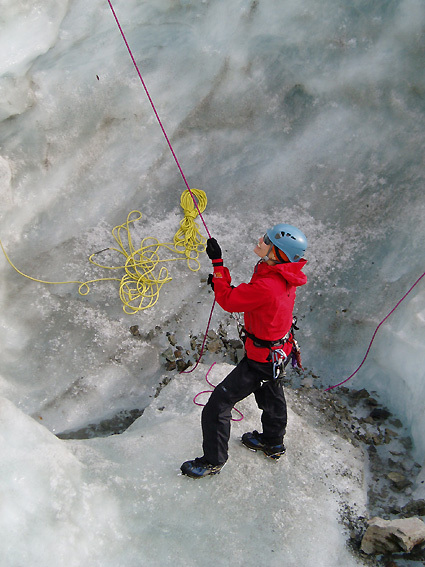 An excellent venue for this specialized SAR training and Alpine rock techniques.